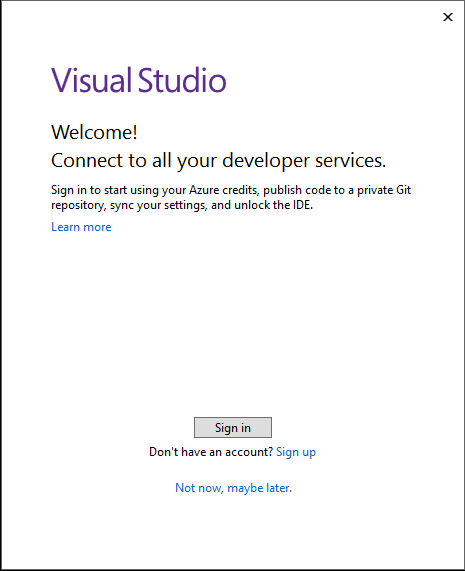 This article tries to give a firsthand and quick introduction to installing Visual Studio 2017, highlighting some of its new features. 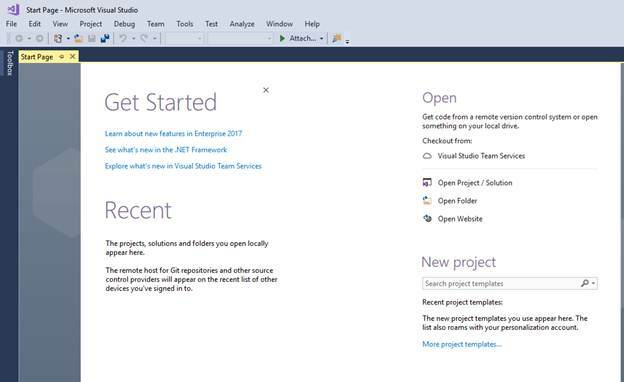 Today, Microsoft has launched Visual Studio 2017, the latest IDE for developing “mostly anything” in the Microsoft platform as well as developing apps and Websites, which target Android, iOS and Linux. 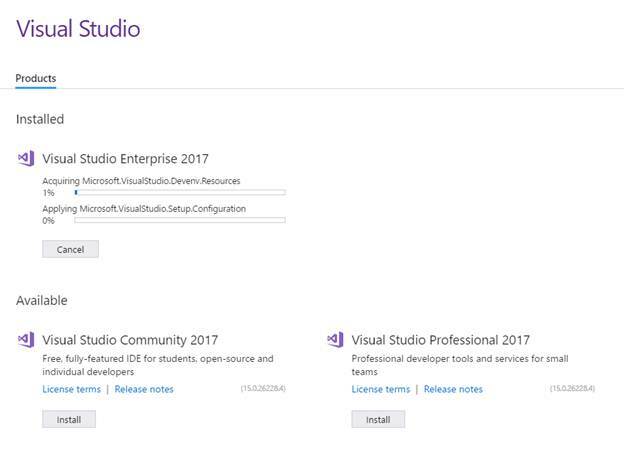 If you have already registered for the Microsoft Visual Studio 2017 launch event, then your mailbox may have an email from Microsoft regarding resources related to VS2017, else you can click here to get started with downloading VS2017. 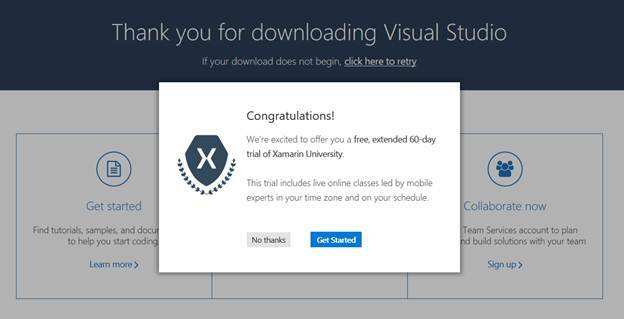 Moreover, if you download VS2017 by March 14, you will get free 60-day access to Xamarin University, which will help you in a great way to enhance your Xamarin skills. 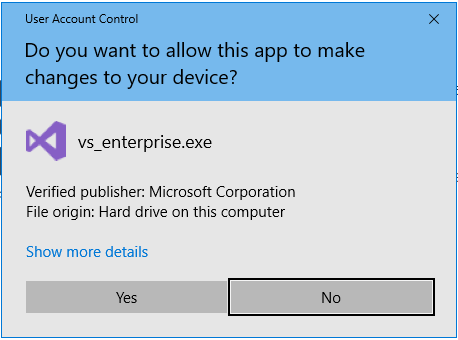 You can choose to install either community, professional or enterprise editions. This article explains the features of the enterprise edition. If you want to know what’s in the different editions, then you can read more here. If you want to check the installation requirements, you can read more here. Once you have clicked on your desired edition, the Browser should prompt you to save the installer file. Click Save File button to save this installer file to your download folder. Also, note that once download starts, your Browser will show a “thank you” page with this message related to “Xamarin University”. In this article, we are not going to touch anything related to “Xamarin University” but will concentrate only on VS2017. Meanwhile your installer file may have been downloaded, click on the file to run it. You will be prompted with the message given below. Click Yes to continue. You will be prompted with yet another popup, as shown below. 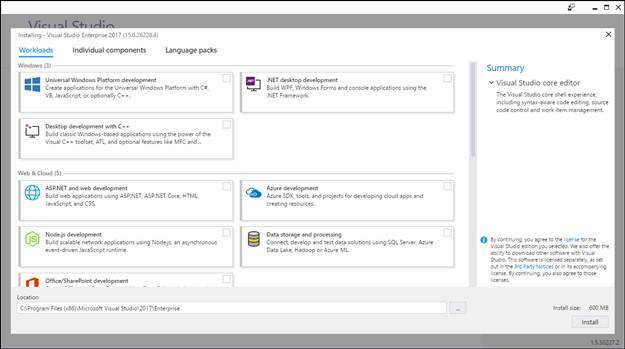 This release of Visual Studio will show you a new light weight installation approach, which is quite different from the past versions of IDE. Clicking on “Continue” in the previous popup will show you the installation launch screen given below. This is a new “modular” installation experience, where you can tailor VS to install only the components, as per your needs. You can maximize the installation screen to see more details. There are 3 tabs here: “Workloads”, “Individual Components” and “Language packs”. 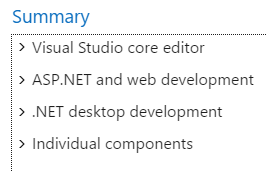 It contains a choice for which type of development work you are going to do with VS2017 e.g. Universal Windows Platform development, Desktop development (with Win Forms, WPF), Web development, Mobile development, Office365 development etc. 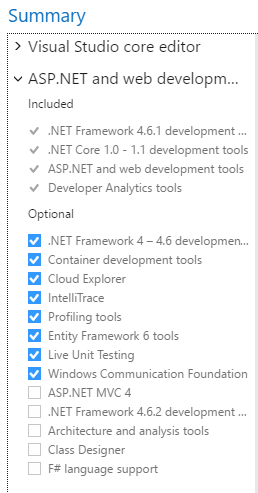 If you wish to install a development Workload, you can choose it by clicking on the top right checkbox. 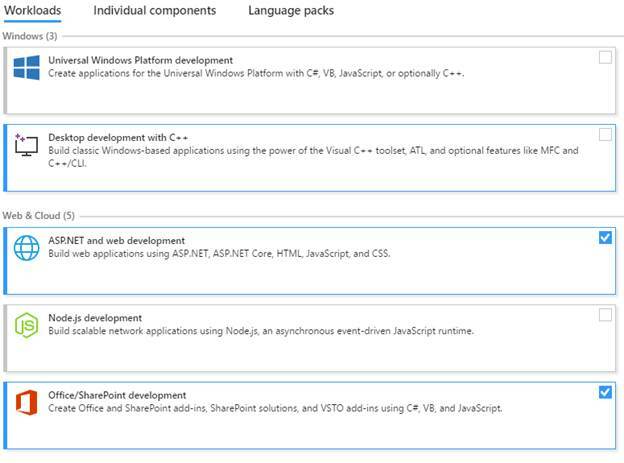 This section contains choices to install some tools, which were previously being installed separately as some “packs”. 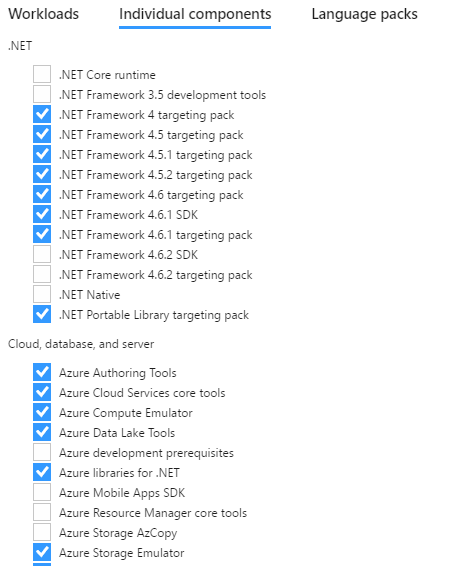 You can see different versions of .NET Framework here like Azure Cloud Explorer and some other MS Azure related tools like Azure Storage Emulator, Azure Data Lake Tools etc. Some SDKs for Android, Windows 10, Typescript etc. are also there, where you need to choose the ones in which you are interested in by clicking the checkbox in front of the item. 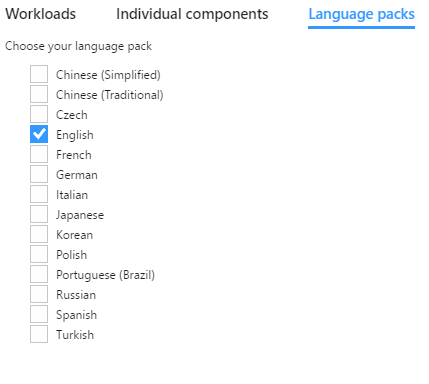 This section offers some language choices for VS2017. English will be selected by default. Most of you may not need any other language. Some more points to be noted here are given below. There is no “Select All” feature in this new installation, which I really miss. You must go and manually select the components. Check the right side of the installation Window and it shows Summary as you go on selecting the features. You can expand individual items to see what’s inside that and there are some more choices. If you need support of some of these sub-features, you can select them by clicking on the check boxes. You can change VS2017 location at the bottom of the Window. At the bottom-right of the installation Window, you can see the approximate installation size (which changes as per feature selection). Once you have explored all 3 tabs and sub-features from the “Summary” section and when you are ready to go, click Install button. You will be shown the screen, which shows installation progress as VS2017 is getting installed. Let the installer do its work. While VS2017 is being installed, go and grab a cup of coffee. Once the installation finishes, you will be prompted to restart. It’s a good idea to restart your PC now, as the installer may have changed many things on your PC. Save your important documents, which may be open, click Restart. 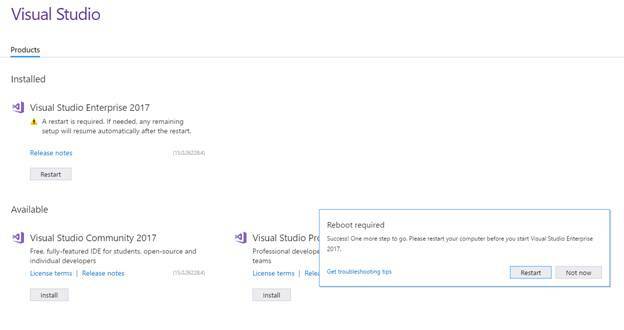 Once restarted, find VS2017 in start menu, or type “Visual Studio 2017” in run prompt. There will not be any shortcut on the desktop. Once loaded, you will be shown a welcome screen. Now, again a prompt is there to choose developer settings and theme. 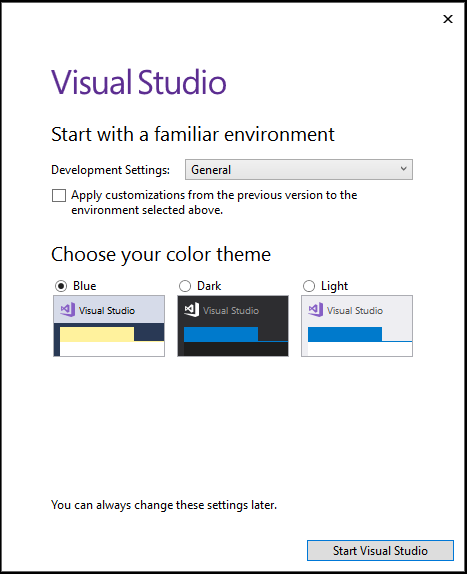 Make a selection as per your liking and click Start Visual Studio. 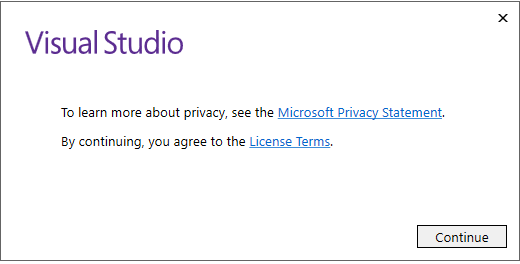 You have installed Visual Studio 2017. If you want to read the release notes for VS2017, click here. Now, go and install the trial version of VS2017 by yourself, write some code, get your hands dirty! Check for my next article on some new features in VS2017 here.